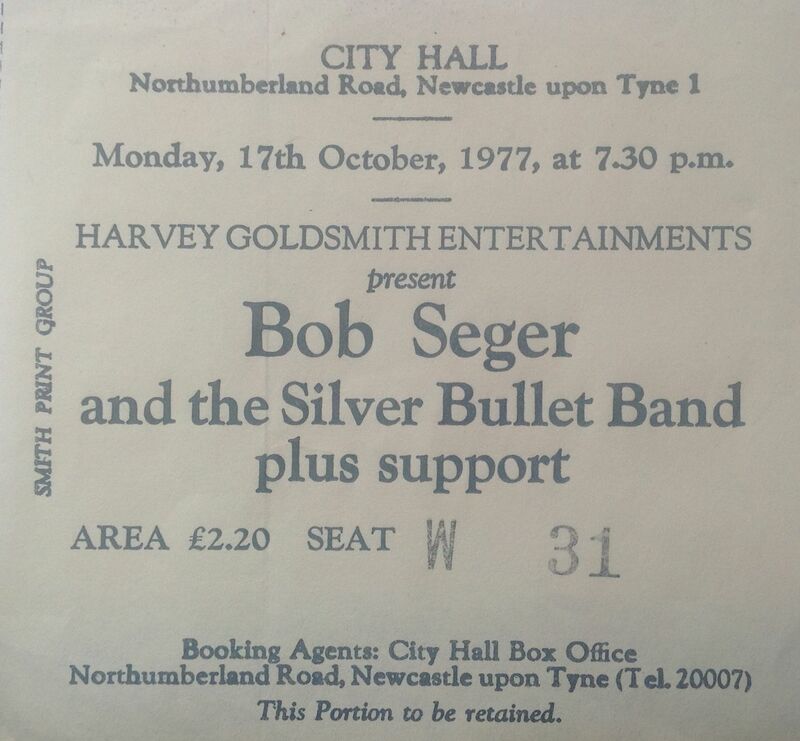 Bob Seeger was the business; pure class. He did a short tour of the UK in 1977, calling at Manchester, Newcastle, Glasgow and London. This was before he had big success, and as I recall the Newcastle concert, which I attended, was far from full. The guy was awesome. I would love to see him again. I don’t recall what they played but I found a listing from a bootleg, which was recorded in the Boston in the same year. I would imagine the set would have been something like this: Rock And Roll Never Forgets; Travelin’ Man; Beautiful Loser; Turn The Page; Sunspot Baby; Ship Of Fools; Main Street; Come To Poppa; Mary Lou; Sunburst; Ramblin’ Gamblin’ Man; Heavy Music; Katmandu; Night Moves; Let It Rock Medley. Seger is performing again in the US; hope he comes back to the UK one day.